With this week’s heatwave, we wanted to approach our skincare regimen in the best, healthiest way possible. 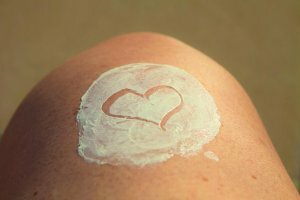 We spoke with skincare expert and licensed esthetician , Cheryl Cotton, who wanted to share her tips on taking care of your skin and protecting it from Southern California heat. 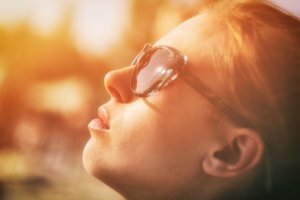 To keep your skin glowing in the SoCal heat, I usually stick to four principles that help protect you from the harsh Sun, particularly for delicate skin. By far, one of the most important things you can do for your skin (and your body) this summer. 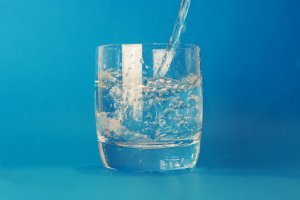 Drink lots of water throughout the day. Coconut Water is great for your skin. Also, try to snack on foods with high water content such as watermelon, cantaloupe, and strawberries. 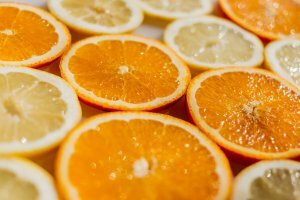 Vitamin-C is extremely nourishing for the skin. As a natural antioxidant and skin brightener, Vitamin-C shields your skin from environmental stresses and significantly improves hydration. It also helps promote collagen production which will keep your skin looking younger, longer! Zinc-oxide mineral sunscreens provide the best sun protection and help prevent wrinkles and uneven skin tone. Make sure you are using an SPF30 or above. 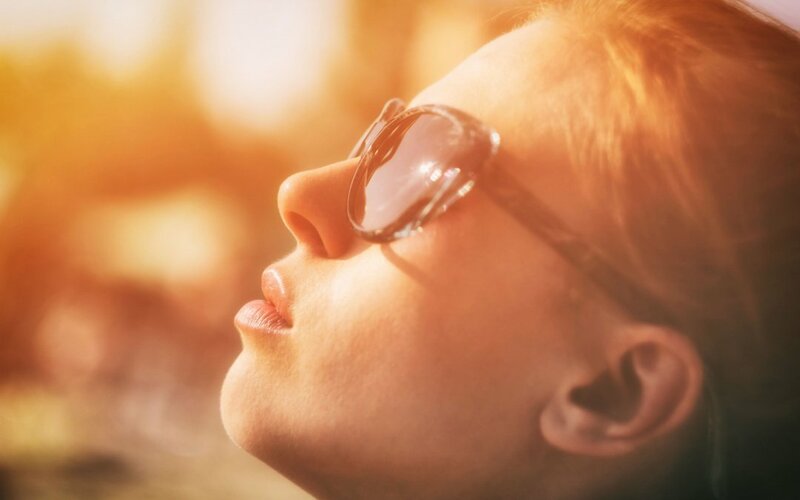 Reapply every 2 hours, and keep in mind that the sun’s rays are strongest between 10 am and 2 pm. This is the perfect opportunity to rock a hat with a pair of sunglasses. You have enough wreaking havoc on your skin from the sun, sweat, and excess oil production. The last thing you want to do is suffocate your skin with a layer of heavy make-up. A little eyeliner, mascara, and lip gloss is all you need. Let your skin breathe and be free! 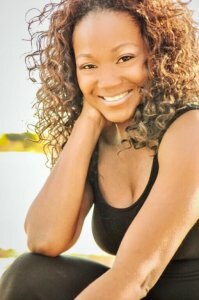 Cheryl Cotton has been a licensed Esthetician for 10 years and was certified by the State Board of California. She received advanced aesthetics training from the world-renowned International Dermal Institute and is certified by PCA Skin in Advanced Chemical Peels. Her career in skincare was stemmed from her teenage years when she suffered from Acne and would feel very self-conscious during that time. She began researching treatments and causes of acne, and became fascinated with skin care and how the skin functions. 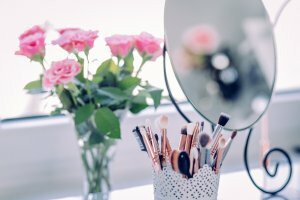 She knew immediately that she had found her passion and all she wanted to do from that point moving forward was to help as many people as possible live acne-free. Anyone who lives in SoCal knows that relationships can be tough. That’s where Very Engaging, the quirky couples guidebook to “gamify” your relationship comes in! Sure, there are all the normal stressors of dating when living in Los Angeles, but the City of Angels has a few extra bonus factors making it even tougher. As you know, LA traffic is real and it can make proximity to your partner an actual factor in choosing your significant other! It’s also a city of 4 million people making it easy to casually swipe left and right with seemingly endless options. Once you do find someone who has the potential to to be “the one,” there are still all the normal hurdles of dating. Very Engaging helps couples face these deep and not-so-deep questions- from having kids to who gets which side of the bed- with humor, sensitivity, and good old fashion games. Even better, it’s the brainchild of two locals- Charly Ligety and Les Starck. “The idea for this book first came to fruition when Les and I were co-workers. At the time, Les was recently married, and I had just gotten engaged. 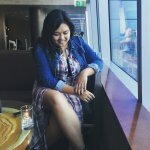 Between our conversations about getting to know our partners, as well as hearing from other friends and co-workers about their pre-marital counseling experiences, we all found common ground in the fact that initiating these big conversations with our partners could be daunting, intimidating, and downright awkward at times. 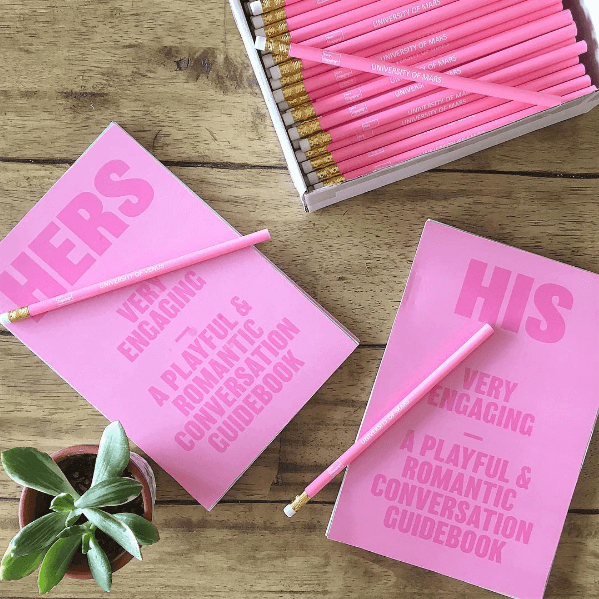 We wanted to create a fun, approachable way for couples to stimulate meaningful and fruitful conversations,” said Charly Ligety, Co-Author of Very Engaging. “The $50 billion wedding industry is largely focused on that one day, and often geared toward females. We wanted to provide something that also spoke to men and harnessed the same fun energy as the wedding day, while helping couples really navigate the nuances and challenges of marriage beyond saying ‘I do.’ We also noticed there was a lack of meaningful engagement gifts on the market. 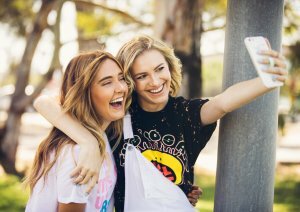 You get items like candles and picture frames, but nothing that is actually going to help you become a better partner,” said Les Starck, Co-Author of Very Engaging. Charly and Les spent the last year + researching and writing Very Engaging. They interviewed several marriage and family therapists and dozens of couples in all stages of relationships in developing the conversation activities. Every page has been tested and reiterated hundreds of times by real local couples to ensure each conversation activity successfully creates a playful and romantic experience. To help self publish- Charly and Les launched a Kicksarter campaign which ends at midnight August 27th, 2017. This is a unique opportunity to support local authors and be part of the Very Engaging movement. You can be one of the first backers of this innovative take on an age-old problem. In fact, 12 lucky backers will have the opportunity to have their name written into one of the book’s conversation activities. That’s right, your name in print for all to see! You can learn more about the exciting ways to support this project and order your copy today by visiting Very Engaging on Kickstarter.com. 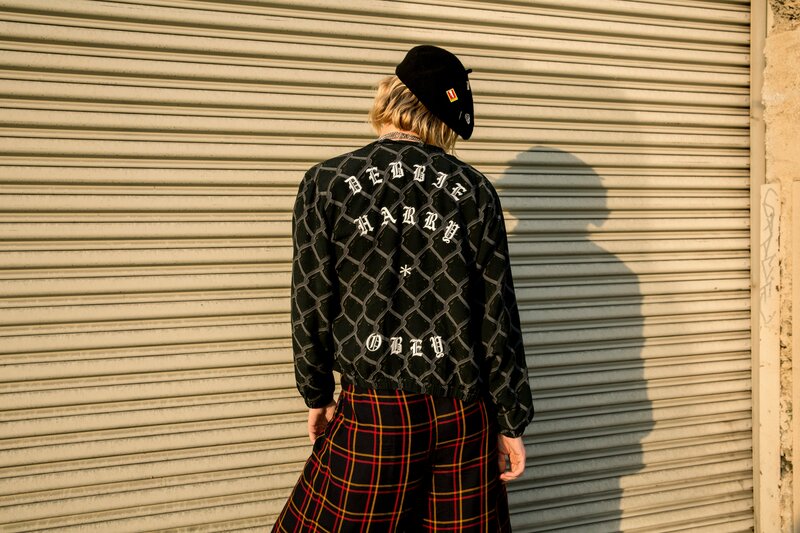 Be sure to stop by 7400 Melrose Ave before this month is over to check out the Debbie Harry x OBEY collab collection at the brand’s pop-up shop. Private receptions will be held through out the month but everyone can see and shop the collection during regular business hours seven days a week. 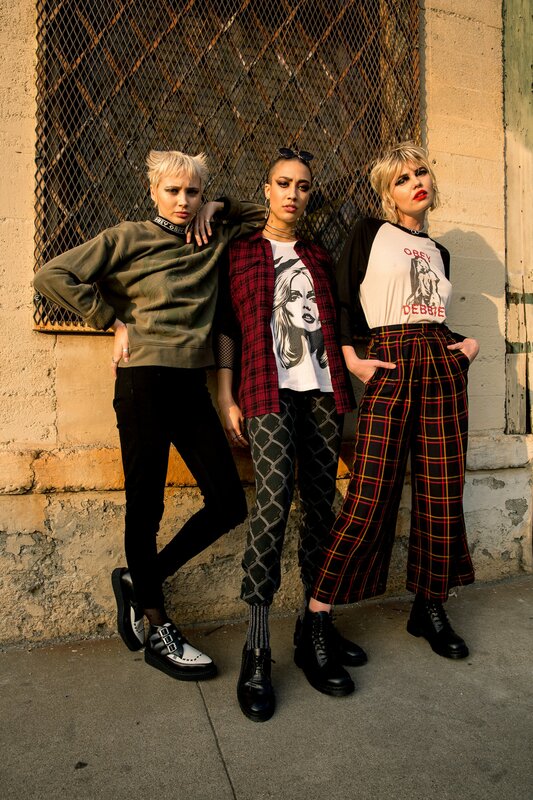 Check out the collection below; shot by Beth Garrabrant and Styled by Rachael Wang. I remember going to a concert for the recently formed girl group, June’s Diary, in the Fall of 2016. Myself and the other patrons were all very excited to see the girls perform as this was one of their first shows since forming on a reality show created by Kelly Rowland and Frank Gatson. What’s funny though, is that excitement quickly turned into anxiety when we all realized there were going to be five opening acts before our girls were even going to be on stage. Mind you, I personally didn’t know any of the names on the bill, so you could imagine the frustration that began to mount in the room. In any case, all of the acts proved to be very talented artists in respects to R&B, but one in particular really stood out to me as a powerhouse vocalist and performer. He goes by the name, DAVIE, and that day, I immediately turned into a fan. The track that specifically caught my ear was called “Testify”, a track with lots of energy and soul, to which Davie exuded as he engaged his music with the audience. 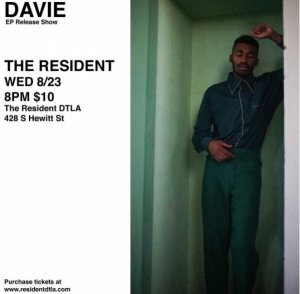 Almost a year later, Davie is ready to embark on the 2nd leg of a US tour, releasing a brand new EP, and celebrating that release with his own show in Downtown L.A at The Resident. 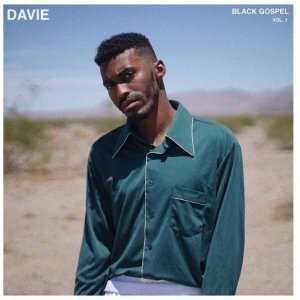 Davie sat with me and SoCal Magazine to talk about his new EP, Black Gospel Vol. 1, his upcoming show, and the message that he wants his listeners to get from his music. Let’s take it back to the June’s Diary show. The girls were just coming off their successful show on BET, Chasing Destiny, so they had a solid following. How did you get the opportunity to open for them? There’s this really awesome company in the community called Industry LA that partners with various events around L.A., particularly live concerts and showcases in the R&B space. 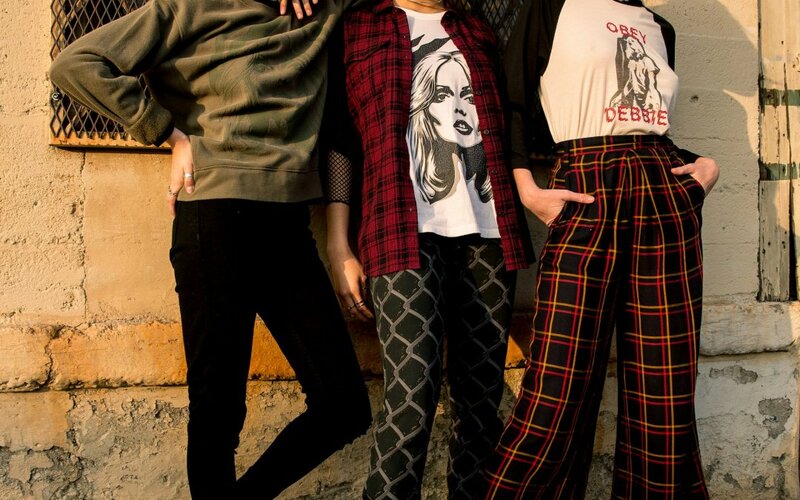 A friend of mine who works with the girls on vocals connected me with the opportunity as they were specifically looking for openers to the show. I submitted one of my songs, and was selected as one of the openers. You joined the Safe Haven Tour this past May and completed the East Coast leg this Summer. Tell us about that experience as you prep to start the West Coast dates next week. I love being connected with artists that do the hard work when it comes to their music. The artist I’m opening for on the tour, Ruth B., is an excellent songwriter and performer, so when the opportunity presented itself for me to be a part of the tour, I jumped on it. 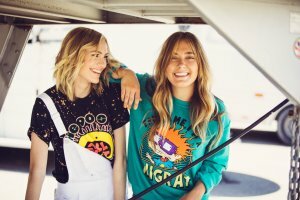 Our first show was in Nashville, TN, which was so exciting for me, because I’ve always felt connected to that city as a songwriter. It was just the perfect way to start a tour like this. 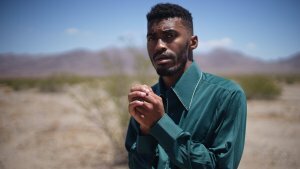 You’re releasing a brand new EP on August 25th, aptly titled Black Gospel Vol. 1. What does “Black Gospel” mean to you and what message do you want that to convey to your audience? My musical history stems deeply in the black church, where culturally, everyone sings and there’s an organ. That was my musical foundation, Gospel music within the black church. 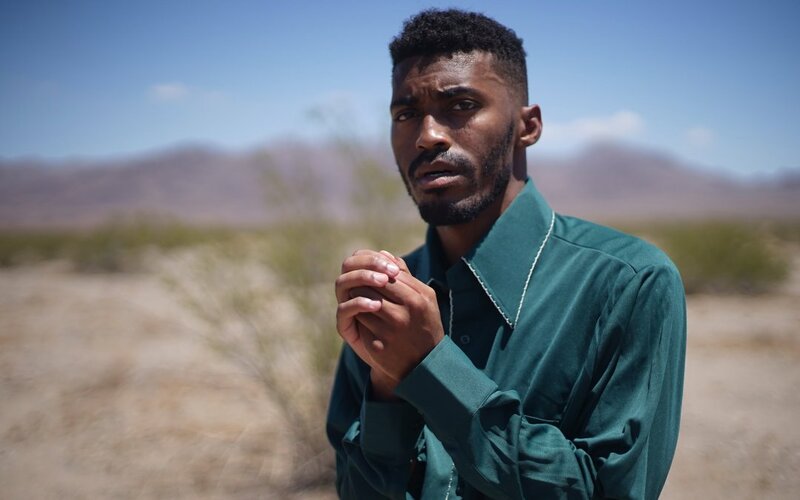 My experience as a black male felt very celebrated where I grew up, but as I’ve grown and traveled, I had to take in what it was like to be ostracized just for being different. When I use the word black, I don’t immediately use it to define race, either. Black has often been used to describe something negative and villainous, and then gospel is seen as something positive and uplifting. I connected those words with the purpose of delivering a message of good news to anyone who’s ever felt ostracized or like they don’t have a place in this world. I feel like my mission is to create music for everyone; to create a moment where we can all just jam. I want to bring people to together with good music, and that’s what I aim to do when I’m on tour. I’m taking the feeling I got listening to gospel in the black church and infusing that with Pop culture to bring people together of all cultures and backgrounds. How have your fans been reacting to the snippets you’ve shared on social media so far? It’s crazy because I think they’ve reacted well to it seeing as how my audience has grown with me. 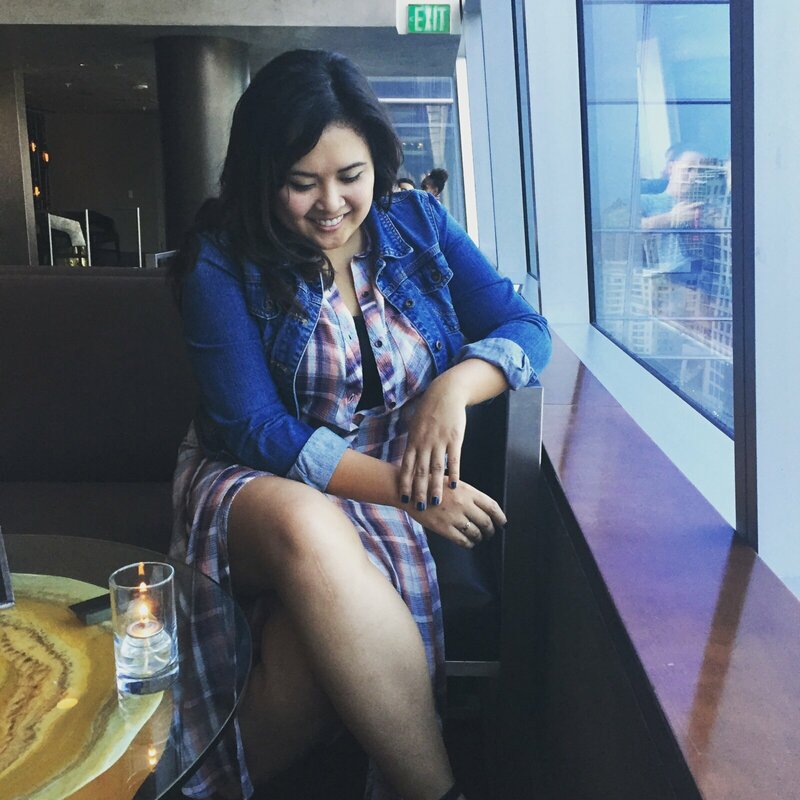 Most of them were introduced to me about two years ago because I was an opening act for Selena Gomez, where they were exposed to me as a wholesome, Disney type of artist. Honestly, I was a little scared to lose them as I got older because the world changes so much, and my music reflects that. This is my first project where I’m talking about very real things, and I think my audience respects that. It’ll be interesting to see how they handle the full EP with my thoughts on challenging systematic thoughts we have about church, God, and being black. To promote and celebrate the EP release, you’re having a show at The Resident in downtown Los Angeles. What can people expect from the performance? Expect to have a good time and to be connected to the music along with the message. I want everyone to feel like we are all One and that we are all hoping to further the message of Love. For 45 minutes to an hour, I want people to not thinking about their worries, bills, whatever, and to hopefully make some friends with people that they may have never met elsewhere. I want to bond people through the music.